John Carpenter directs this horror - western based on the novel by John Steakley. 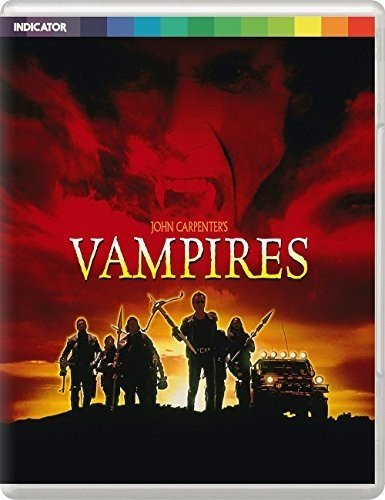 When Jack Crow (James Woods)'s team of mercenary vampire hunters is slaughtered by the master vampire Valek (Thomas Ian Griffith), he teams up with Montoya (Daniel Baldwin) to fight back. Their only link to Valek is beautiful psychic Katrina (Sheryl Lee), and with her help they set out to confront the ultimate evil. Beautifully presented by Indicator, this high definition remaster is packed with extras and limited to 7000 copies.